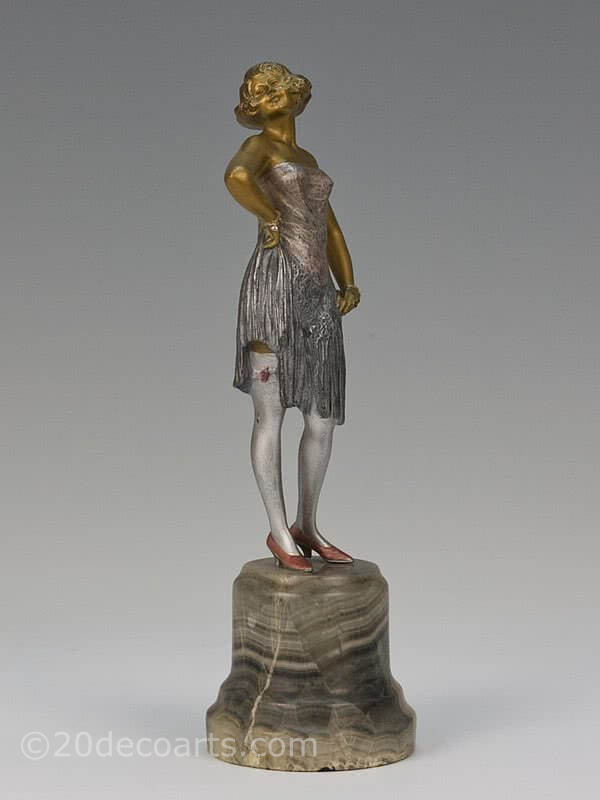 A Bruno Zach Art Deco bronze figure "Seidenstrümpfe", Vienna, Austria 1920s, depicting a bejeweled young woman lifting up her dress to expose her stockings and garter, smoking a cigar, the bronze cold-painted silver and gold, the statue mounted on a quartz base. 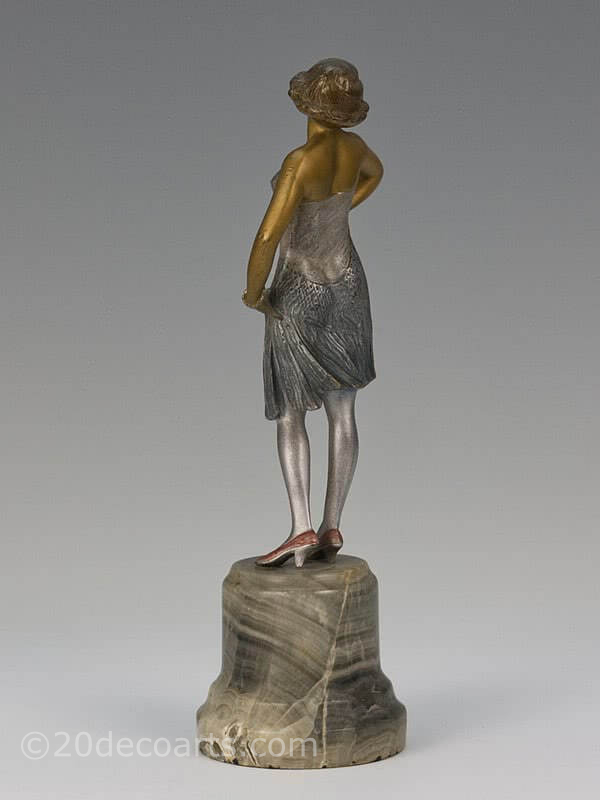 Bruno Zach was a Ukrainian born sculptor who worked in Vienna in the early part of the 20th Century. 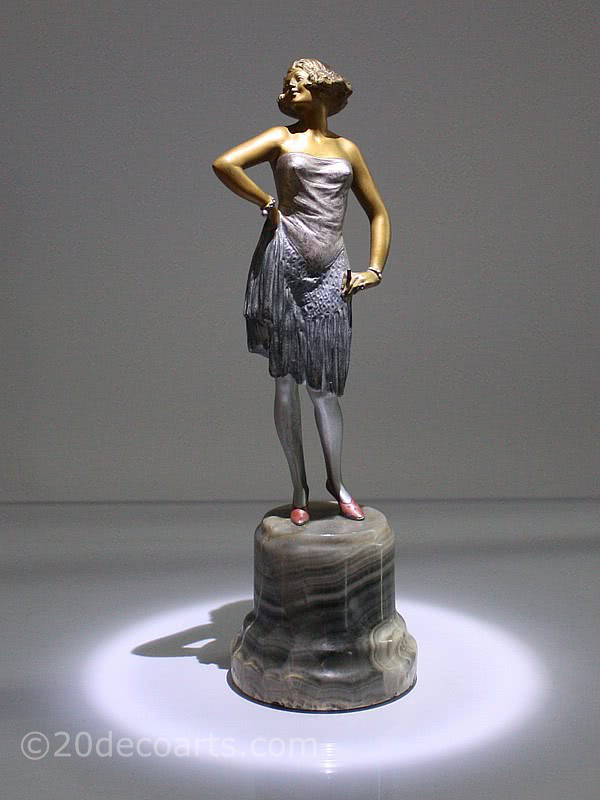 His works range in style from Orientalism and Art Nouveau to Art Deco and sporting subjects but he is most famous for his works depicting women who can best be described as "sexually liberated"! This is a good example with typical Zach facial features and hair details.